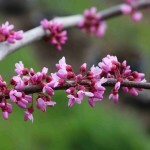 This lovely small, weeping tree is stronger and wider spreading than the similar Cercis Lavender Twist®. 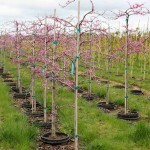 It will ramble and be less formal, creating a focal point in the landscape. The flowers are distinctly pink and profuse. Plant in full sun to part shade, in a well-drained soil. It benefits from regular summer water and protection from hot, dry winds. PP 23,043.